The 9 Best Spas in Wisconsin! Sit back and enjoy some much-needed R&R at Wisconsin’s many high-quality spas. From full packages, to massages, to facials—these rejuvenating spots will make you feel like royalty. Wash away your stresses of the week in a whirlpool, or pamper yourself with a salon treatment. Make an appointment at one of these nine lovely spas and see why they’re the best in the state! Sundara Inn & Spa is tucked away in the deep woods of Wisconsin Dells. Rejuvenate your mind, body at soul after just one day at the spa. Check out their massages, facials, body & bath treatments. Take the experience to a whole new level by purchasing their packages for an even longer tranquil experience. WELL Spa and Salon located within the Lake Geneva Resort and Spa is a great way to disconnect from the world and relax. Slip into their comfy robes and slippers and drift away. For added savings check out their spa specials that change every season. Aspira Spa is Elkhart Lake has earned a “Top 10 Spas of America” spot last year. Sooth your body with tons of options between massages, facials, salon services, spa classes, healing therapies, body treatments and much more. Their services are directly inspired by the ancient healing wisdom of the indigenous people. Become one with yourself at Aspira Spa. Indulge in five-star services without the outrageous prices. They have great spa packages for couples, girlfriend getaways, and singular services. The Kohler Waters Spa is one of 47 spas worldwide that have earned five stars. Check out their enclosed rooftop deck with a whirlpool, fireplace, and lounge area. The Spa at the Edgewater in Madison was voted Madison Magazine’s “Best of Madison” last year. Nestled right between busy downtown Madison and tranquil Lake Mendota is the calm of The Spa at the Edgewater. Relax and rejuvenate with the spa and salon services offers. Indulge in romance all types of packages offered at the Edgewater. Focus on yourself while enjoying the backdrop of Wisconsin’s beautiful hills and prairies in Maiden Rock, Wisconsin. Services include energy therapy, massage therapy, life coaching, retreats, yoga, Japanese soaking tub and more. While indulging on their mind and body services stay onsite at a fully equipped cottage, their green B&B, or their famous Journey Inn. Enjoy Evensong Spa’s full line of luxurious spa and body treatments. Conveniently located within the Heidel House, the Evensong Spa will pamper you with body treatments, facials, massages, and water treatments. Along with their spa services they offer tons of salon service for their guests as well. Spa Serenity is located conveniently between Madison and Wisconsin Dells offers a great day spa experience. They are recommended via TripAdvisor and offer great prices. 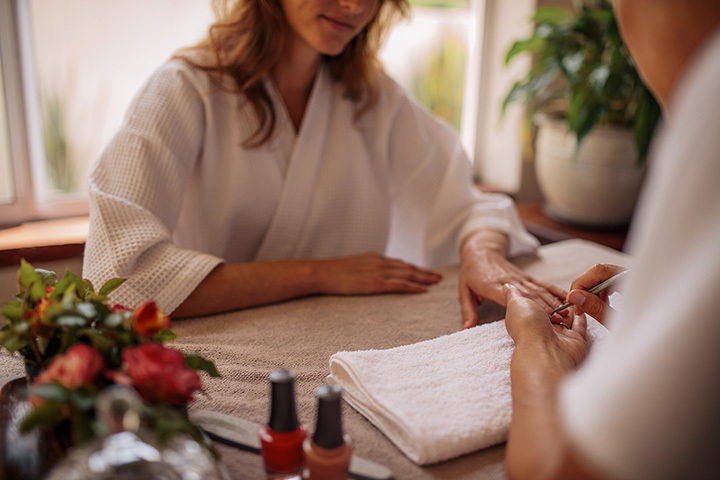 No matter what the occasion—girls’ night, date night, spa days, etc., Spa Serenity offers a full service to its customers.